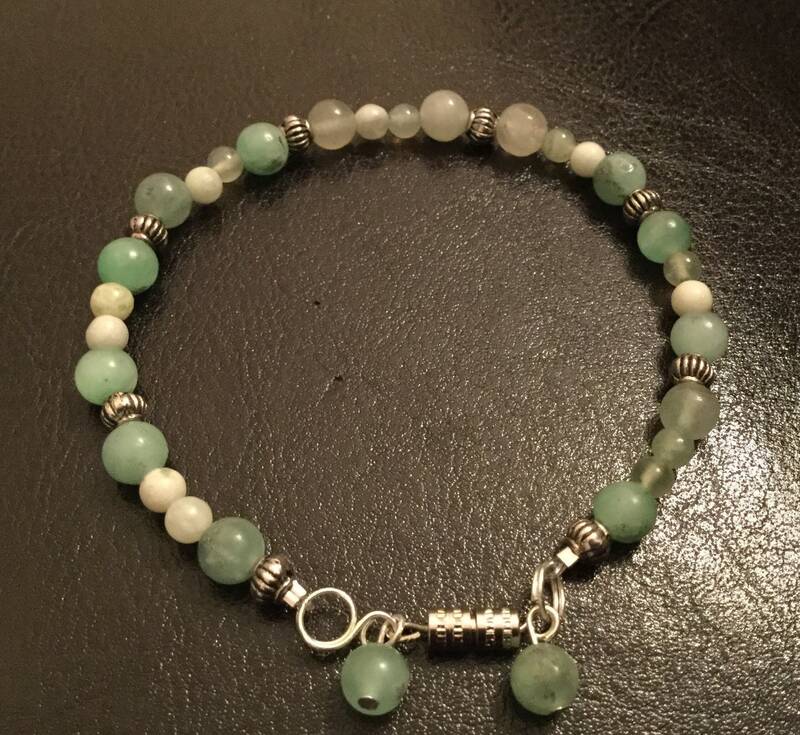 Aventurine beaded bracelet. Medium and small sized Aventurine beads with metal spacers. Can fit up to size 7 wrists. Has a twist barrel closure.